Marie Colvin was an acclaimed war correspondent working for the Sunday Times. With her cameraman Paul Conroy, she entered the Syrian city of Homs, just as Assad’s forces began attacking the refugees there, and died in the consequent bombing. The film follows Colvin’s career from Sri Lanka (where she loses an eye) to Afghanistan and Libya, showing how PTSD affected her personal and professional relationships. 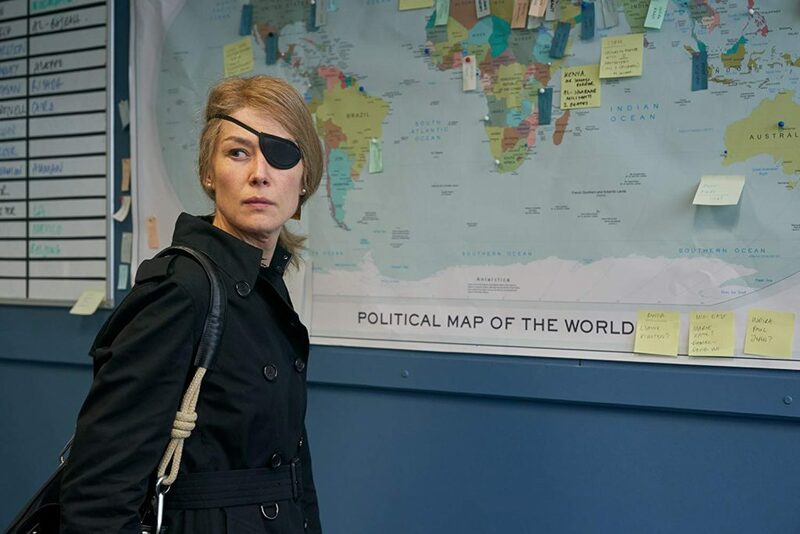 Rosamund Pike gives a gritty performance as this heroic, but damaged, journalist. 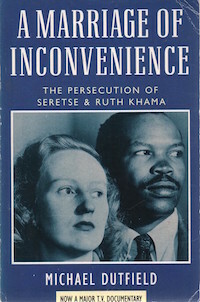 Whilst studying law in London shortly after the Second World War, Prince Seretse Khama of Botswana falls in love with English insurance clerk, Ruth Williams. They get married and propose returning in triumph to his homeland, where he will become the hereditary ruler of his people. But their marriage is fiercely opposed by both their families, even threatening to cause a rift between British and South African governments as a result of the latter’s recently established apartheid policy. 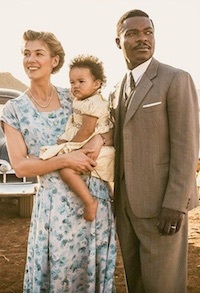 and on TV, this well-crafted, inspiring story of love is driven by absorbing performances from Oyelowo and Pike. The Guardian’s Review (dating from the Toronto Film Festival) can be seen here, including a link to the trailer while….